Harvey Fierstein's iconic 80s Torch Song gets a timely revival at the Helen Hayes Theater this year. 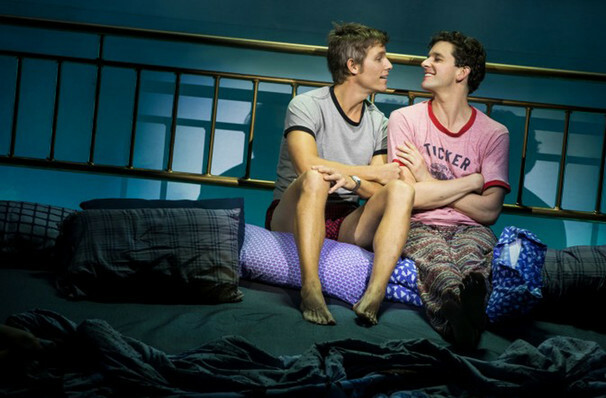 With star of stage and screen, Michael Urie leading the cast as Arnold Beckoff what did the critics think? Entertainment Weekly praised Urie's performance saying, 'In this exqusite new Broadway revival, Michael Urie establishes himself as a fearless and compelling leading man - delivering a master-class in physical comedy and dramatic authenticity that, in the play's most gripping scenes, brings laughter and tears nearly simultaneously'. The Hollywood Reporter mirrored the sentiment saying, 'Kaufman and his cast hit every note of humor and heartache in a durable work'. The New York Times praised the production saying, 'Mr. Kaufman's staging... now feels smoother and quicker on its feet'. What is Torch Song about? Centered around Arnold, a gay jewish drag star and torch singer, Torch Song takes us on a journey as Arnold searches for love, purpose and family. In this four hour epic the play focusses on three different stages of Arnold's life, as he battles bigotry, heartbreak and the experience of building a family. Torch Song is now playing at the Helen Hayes Theater until February 24. View our show pages for more information about Torch Song, Helen Hayes Theater.